Junior Engineer (Civil, Electrical, Civil & Mechanical and others). Error free details written online Application Forms are invited from engineering degree/ diploma possessing self motivated individuals not later than dead line. 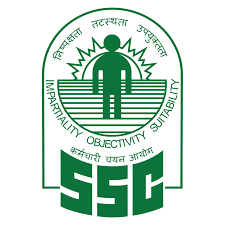 Best fit and skilled candidates are suggested to submit online application candidates through the official website of SSC to apply against Jr Engg Notification. Since competition is very tough to beat therefore prepare well for exam and interview. All the dynamic personalities who will get appointment their salary will be very attractive with other allowance admissible. Remaining details connected with applying decision for SSC JE Recruitment are tailored below by the team members of ejobhub. All the deserving applicants should stay on this article before taking apply decision. Some more government jobs in India will be available if appliers visit the official website that is ssc.nic.in. If you need other job then keep visiting this portal on regular interval. All the best to each and every applicant for govt jobs’ news! Pay Scale: Recruited Appliers will get salary from Rs. 35400-112400/- per month. At first go to “JUNIOR ENGINEERS (CIVIL, MECHANICAL, ELECTRICAL and QUANTITY SURVEYING & CONTRACT) EXAMINATION” link from home page. Read all details from notification and follow the “Apply online” link. Now take hard copy and safe for retain it further use.